Benefit from double-in-one, affordable, and flexible use, Officetel is an attractive investment channel that can not be ignored in 2018, predicting a “wave” in the market. next time. Officetel was born in the country of Korea kimchi, quickly spread throughout Asia and quickly dominate the real estate market in many countries thanks to the great advantage. In Vietnam, although a segment of real estate is relatively new, but Officetel has quickly found its place thanks to meet the needs of the market. Up to now, there are more than 600,000 enterprises in the country with an hourly rate of increase. The startup also brought a wave of emerging businesses, accounting for more than 3,000 of the nation’s total. As the current boom boom as the current trend, the trend of young people is increasing. This has pushed the demand for office up, peak in the big cities such as Hanoi and Ho Chi Minh City. This is the main factor causing high office prices. According to CBRE Vietnam, HCMC has the highest office rent in Southeast Asia, up nearly 20% over the same period last year. This situation has made the cost for office, warehouse becomes a difficult problem of many businesses. Officetel can be said to be the model to solve the problem of office expenses of many enterprises, integrating the utility to optimize the cost to the maximum. Since its inception just a few years ago, the number of officetel has increased nearly 14 times compared with the original, showing the attractiveness and influence of the “mixed race” with many attractive benefits. Officetel right type at the right time. 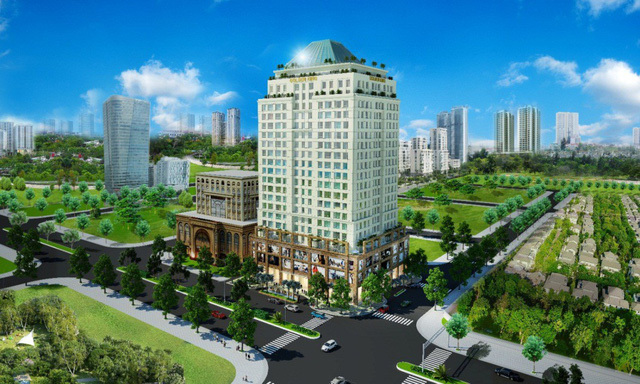 According to the trend of market development, officetel will be the name that continues to make the real estate market. The first is about the location, high-grade officetel are built in the location of favorable location, convenient transportation and easy connection to the city. Typically, the Golden King project is located in the heart of District 7. The residents can easily access the facilities such as Anh Sao Bridge, Crescent Mall, French International Hospital, Tam Duc Hospital The International School of Canada, Adora Premium Convention Center, Crystal Palace Convention Center, Saigon SECC Exhibition Center, … in just a few minutes. The most remarkable is the ability to 2 in 1, just do in. This way of using helps owners save money, time and increase productivity. It can also reduce the risk of moving from home to work. Startup companies are also fond of using officetel because of this special combination feature. Ngoc Dung’s family now buys an officetel belonging to the Golden King project, saying that because of this unique combination of officetel, they decided to buy. Sister with two friends have opened a small shop specializing in importing cosmetics online. Small businesses should not pay for storage, she decided to buy a home officetel for housing, as well as work. Her family also realized that in addition to cost benefits, this way of activities also help her care for children and housework. There are a lot of technology startup options as well as Ngoc Dung’s family because of the job characteristics. Start-up companies often include young people, flexible working days and nights. If the mode of living and doing this in the traditional office is very inadequate. Legal issues are also factors that make many businesses to choose to officetel. Housing Law from the effective date has forbidden the apartment is registered business. This makes the officetel receive the attention of many businesses as the type of meet the needs as traditional apartment “spell law” previously did. Besides, the purchase price of officetel is very reasonable, only from 1-2 billion or more. This is a reasonable and economical investment channel for the combination of office and housing.